The White Kabuki Mask was inspired by the make-up and mask traditions of the Japanese dance-drama kabuki theatre. The kabuki exists as a form of theatre and story telling that creates epic all day performances of extraordinary stories. Kabuki is today the most popular forms of traditional drama in Japan. White is a color representative of purity, goodness, understanding, protection and perfection. This is why it is such a contradiction to the form of this particular mask. The meaning of this color juxtaposed against the form creates a character of depth of power. 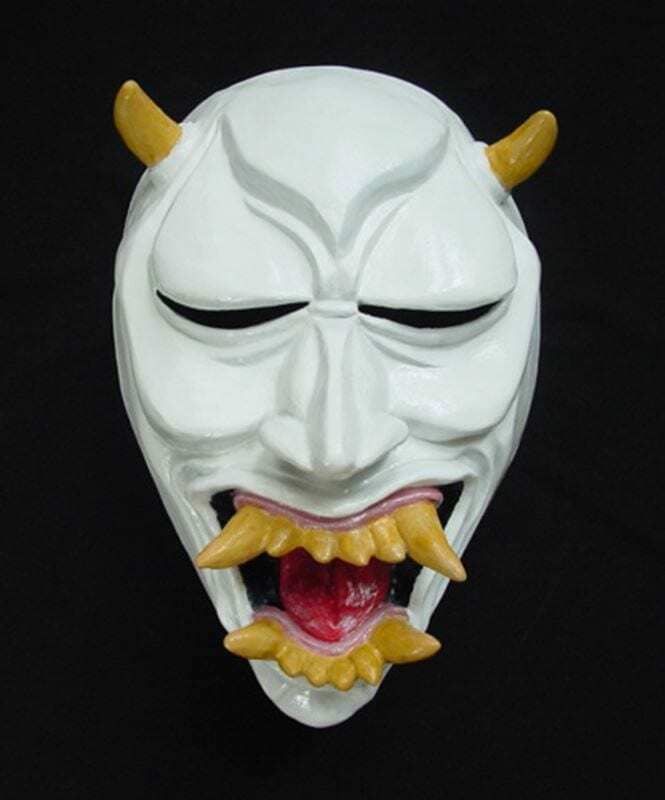 This mask is the character mask of mental clarity, new beginning, cleansing through pain and the violent purification of thoughts and actions.